So we put some lights in a jar last week on KTLA and told you it was a centerpiece. This is a gorgeous, simple idea for the Holidays. All you need are some battery operated twinkle lights and an apothecary jar. 1. 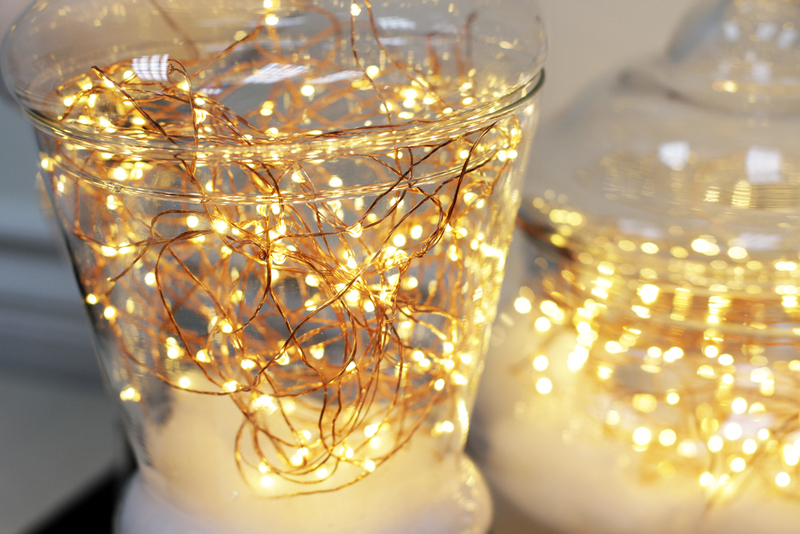 Fill your jar with a couple inches of fake snow and place all your lights in the jar. TIP: Cover your battery with the fake snow. No one wants to see the giant battery box!